Northward was written by Anthony "Atticus" Hewitson, a journalist for the Preston Guardian. Published in 1900, it was illustrated with almost a hundred drawings by Colin Bingham. 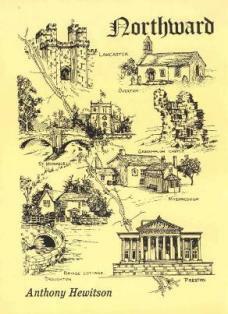 Most of the townships east and west of the A6, the Lancaster Canal and the Wyre between Preston and Lancaster are mentioned. The original book is almost impossible to find but fortunately it was reprinted in 1993 & 2003 by Bob Dobson.